Wasjanto an Ex-Street-Kid from YUM’s preparatory school, is one of the success stories from YUM’s projects. Now he is not only a Community Development Coordinator in his village (Brebes, Central Java), but as a result of his dedication in managing this project, he has been sent to Japan for one year for social welfare training, sponsored by the Japanese Council of Social Welfare. A figure like Wasjanto, for YUM is not only a token of YUM’s ability to take its students to successful futures, but can exemplify how YUM has carried out its projects in an integrated and sustainable fashion. How many orphans lose the rights that are freely available to other normal children - suffering from the loss of parents, hunger, dropping out of school, lack of love, an uncertain future life, and having to face all this every day of their lives ? Fortunately none of this is any longer true for the children who live in the Cipanas Children’s Village (DAA). Although they are not living with their parents, their proper rights are met , as stated in the UN’s Conventions on Children Rights. They are even taken to a bright future. 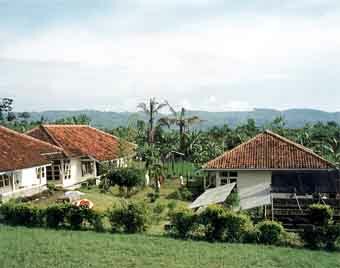 DAA was established in 1976, located in Kampung Sindang Layung, Cibadak, Cianjur, West Java on a 2000m2 plot. This location now accommodates 53 children. Nurfadilah Ros P, is one of the successful graduates from this orphanage. A well-mannered, friendly girl now 19 years old who is also smart , she has been able to continue her studies at IPB (a famous Indonesian Agricultural University). Besides her, there is another girl graduate , Titik Lestari Handari (16 yrs) who is studying at cookery school in Bogor. The children here (in Cipanas) seem to have found again a brighter future life. Many of their friends outside the “Children’s Village “ are waiting for their turn to get the same facilities available to those in the Cipanas Children’s Village. Needless to say, to continue to help them we of course need additional help and support and we welcome all those who feel moved to share with us the burden of financing their needs. This was originally a small clinic for TB patients. 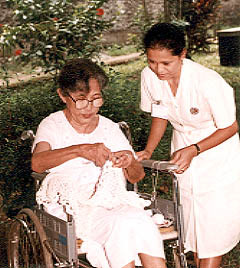 Within 3 to 4 years it became well-known as a clinic for the poor. At least 200 patients every week receive our health services here. The location of this clinic is very strategic, because it is built in a poor enclave , surrounded by luxury villas . To improve its services and facilities, this clinic of course needs your helping hands to support it in its dedicated work. 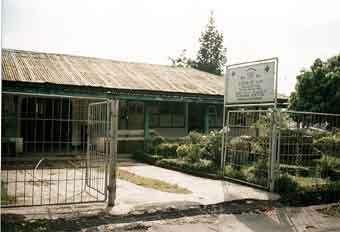 Established in 1978, Pejompongan Clinic is located in area where the poor surrounding it are very dependant on health services. Compared to the Government Public Health services, Pejompongan Clinic has become widely known as a good and cheap (some of its patients get treatment free of charge) clinic whose patients are mostly the poor from various parts of Jakarta or even farther afield (outlying suburbs). The patient’s confidence in the attending physicians is the key to why this clinic has such a good reputation making it always crowded. It provides services for around 2000 patients annually. This clinic provides health treatment for : Malnutrition in infants /children under five, Immunization services, Family Planning, Laboratory and Health Service Clinic services etc. 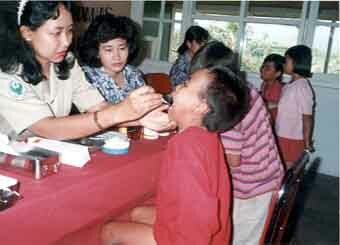 Most patients for the clinic are suffering from TB , which is still very common in Indonesia. The existing situation, where TB patients have to be served in the same location as other patients makes us very concerned about the spread of this infectious disease to others, but because of limitations of space and health facilities we are forced to make do with what we have . To solve this problem, we are planning to build a new special hospital for them, on our own land. Instead of, as at present, yearly rental of a house. We welcome all forms of contributions and donations to assist us in realizing this idea..
YUM started to care for the elderly people in 1980 on a 2.5 ha. plot of land in Pamulang, West Jakarta, with facilities such as a Clinic/Health Centre , laboratory, the services of a specialist physician, a general practicioner, psychiatrist, visiting specialists. The commitment to help the elderly and render other social humanitarian activities for their needs is firmly embedded in the hearts of the management team there and for them our participation gives meaning, no matter how small it is. So that children can have a better future, harmonious conditions where children’s rights are safeguarded, are a prerequisite. But for Indonesian children this is all too infrequent. The data from the Social Welfare Department reveals that the numbers of street children have increased by more than 400 %. YUM started to help these street children in 1979 with the help of Hasijah Rosevelt, an American anthropologist . 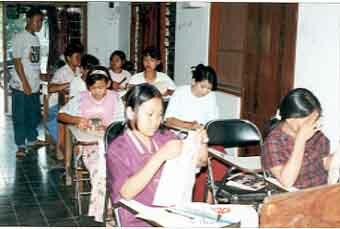 From the experienced gained YUM was led to establish its Preparatory school for street children. Comparing to a boarding school or any other kiknd of school, a preparatory school has specific advantages. The children get guidance in their school subjects, moral and ethical guidance , religion and adequate nutrition that can enable them to go on to regular schools to mix with their peers. There are also regular events such as meetings with international visitors or discussions between the teachers and students or with successful alumni to exchange experiences. Each year the Cipulir preparatory school accommodates around 70 street children or children of garbage scavengers. Pak Sutardi (25 years old ) is one of the three teachers who routinely and persistently helps his young charges, is leaving for Japan for one year’s welfare skills training course sponsored by the Japanese Council of Social Welfare. In cooperation with local sponsorships from CityBank and Astra Insurance now the Cipulir Preparatory School has been extended to a new Preparatory facility in Kampung Rawa Simpruk, Kebayoran Lama in West Jakarta. Experts consider our preparatory school approach is the most strategic way to prepare children to be sent back to a normal school,. KUU BREBES (COMMUNICATION DEVELOPMENT PROJECT) – BREBES, CENTRAL JAVA. This project developed in 1980 when Hasiyah Rosevelt, an American anthropologist and social worker in Jakarta, began working with shoe-shine boys (street children) who had mostly came from this area of Brebes, Central Java to Jakarta. 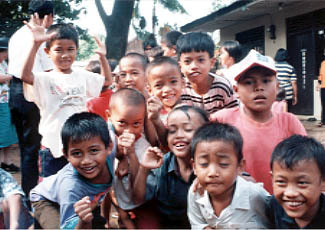 The village of Grinting, Brebes at that time was an suitable place for the project , because it was from this area the largest migration of the boys occurred. With support from the German government (BMZ) and SD Germany, this project has now been developed and extended to the 3 surrounding villages : Sengon, Kecipir and Kedung Uter. Various improvements to public facilities such as family sanitation, clean drinking water, health clinic services, and small-scale trade enterprises through vocational training support have taught the people here to solve their own problems. As result of the existing YUM community development project, people now realize the importance of education for their children. For example Adi Roja is a “pioneer”, he is a man who achieved success after completing marine studies. He says: “ If I had not passed my Jr. School and continued my study, how different would my life have been, not like now.” In his generation, less than five children finished their Jr. High School education. He has become an example for parents and the younger generation, to follow-up his success. By now, according to our data , there are around 1114 children who have obtained support from YUM. This total does not include children who continued their studies by their own efforts as they realized the importance of education. Take Wasir (30 yrs old ) a graduate of the vocational training, is now able to carry on a small scale electrical repair business through his own efforts. The upcoming program for YUM is to build a planned Community Centre Project based in Grinting. For this, BMZ-SDG has appointed an independent institute, to carry out a feasibility study. If the planned regional autonomy approved by Indonesian Government really comes into being , then the YUM Community Centre Project, will become a showpiece of how community empowerment can be implemented at the grassroots level (village). So , we warmly invite you to participate in providing us with any any kind of effort, input or funding that can make this project happen.